The entire world witnessed the Earth Hour phenomenon sweep across the planet in its eighth year as Earth Hour 2014 broke all records of mass participation across the world as hundreds of millions of people became everyday super-heroes for the planet. Earth Hour 2014, proved the movement is now stronger than ever with the event observed in over 162 countries and over 7000 cities, creating magical lights off moments in every continent of the world. The symbolic hour has grown into the world’s largest grassroots movement for the environment, with beyond the hour activities and initiatives happening throughout the year. “It’s always extraordinary to see cities and landmarks involved in the ‘lights off event’, but the most exciting thing about Earth Hour this is year, is seeing the amount of projects and campaigns that are taking action beyond the hour. 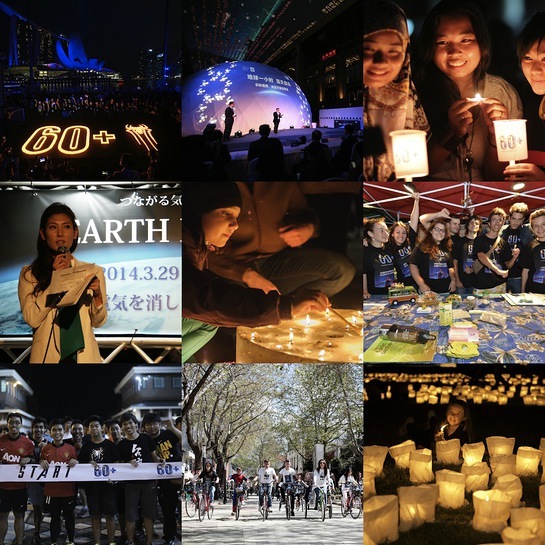 From crowdfunding to campaigns to protect The Great Barrier Reef or The Amazon, Earth Hour is harnessing the power of the crowd far beyond the hour”, said Andy Ridley, CEO and Co-Founder of Earth Hour. Last year alone saw thousands of Argentineans petition to pass a senate bill to protect a marine area 28 times the size of New York City and WWF-Uganda began the fight against the 6,000 hectares of deforestation that occurs in the country every month by creating the first ‘Earth Hour Forest’. In 2012, Russians also petitioned to get legislative change protecting the country’s seas from oil pollution and now are striving to protect an area of forest twice the size of France. Earth Hour began its journey setting off celebrations, in New Zealand, where community events were held all over the islands. Moving across to Fiji where islanders hit Earth Hour fever, and the country held a fundraising dinner, hosted by President Ratu Epeli Nailatikau. The hour of inspiration went back to its humble beginnings where Earth Hour once again hit the shores of Australia bringing to light the plight of one of the greatest natural wonders on the planet – The Great Barrier Reef. This iconic wonder is under great threat due to climate change and the recently approved government decision to develop a mega coal and gas ports that would cause dredging and dumping of millions of tonnes of seabed and rock in its Marine Park. To drive action and support, a new documentary “Lights Out for the Reef” was screened across many famous locations including Melbourne, Perth, and Sydney, as well as engaging people around the world to add their voice and use their power to protect this iconic wonder. Continuing to the home of Earth Hour, Singapore celebrated the event empowering the crowd with the message that people are the true every day super-heroes of the planet. Using none other than Spider-Man to join the global flagship event, and the stars of The Amazing Spider-Man 2, Andrew Garfield, Emma Stone and Jamie Foxx inspired a fired up crowd to take a stand to protect the planet. In China Earth Hour drew attention to the “Blue Sky,” and the need to reduce air pollution and smog. The public were encouraged to send in ideas in order to inspire change towards healthier air. The lights off event then swept across the east gaining momentum and switching off lights such as Lotus temple in New Delhi, and The Gateway of India in Mumbai. Earth Hour in India kicked off a year long educational project that will take place in 15,000 schools across the country, which will help to reduce carbon footprints by recording carbon output, whilst educating children on the value of efficient energy use. As participants across the United Arab Emirates were encouraged to make the switch to energy efficient lighting which has been an outcome driven focus in the lead up to the event, the worlds tallest building – the Burj Khalifa and Shaikh Zayed Grand Mosque switched off. Showing that the movement reaches all corners of the globe, an event in front of the Khaju Bridge in Isfahan – Iran, will drive action and support about the plight of the famous Zayanderud River, where there has been no continuous water flow for the past few years due to climate change and other factors. WWF-Russia called on people around the world to help support field projects that are working to save five key species of animals in the region, including the critically endangered Amur Leopard. By a decision of the Presidential Administration, the Kremlin, the official residence of the Russian President, and Red Square turned off lights during Earth Hour for a second time. “Russian cosmonaut Mikhail Tyurin has also recorded a message from the International Space Station, reminding the world that whilst the planet looks amazing and beautiful from space, it also looks fragile and therefore people should do their part to protect it”. Earth Hour then made its way over to Africa as the Great Pyramids of Giza switched off in Cairo alongside other key landmarks in Egypt. As the lights of the majestic Table Mountain switched off in Cape Town the city also celebrated being awarded WWF’s Global Earth Hour Capital 2014, being recognised for its ambition and pioneering actions to combat climate change, in its effort to bolster quality of life for its citizens. Where East meets West, the Sultan Ahmed Mosque (Blue Mosque) in Istanbul switched off for Earth Hour for the first time, alongside the Hagia Sophia and Bosphorous Bridge that connects Europe and Asia. Lights out footage from famous European landmarks across Europe including the Acropolis in Greece, the Eiffel Tower in Paris, and Brandenburg Gate featured on the offical instagram account generating hundreds of thousands of likes as Earth Hour further expands it’s digital presence. In the UK, a live stream event featuring Sophie Ellis-Bextor took place as lights went off across landmarks such Big Ben, tower bridge, London Eye, Buckingham Palace, Houses of Parliment and Westminster Abby. Moving onto the South Americian continent, just a day before Earth Hour, National Senator Ernesto Sanz submitted a bill into the Senate of Argentina. A massive crowd gathered at the Planetario Galileo Galilei in Buenos Aires, for Earth Hour celebrations in support of a law which aims to replace ignition water heater systems with efficient electric systems, to avoid the passive consumption of gas equivalent to powering 800,000 homes in the country for one year. One of the most iconic statues in the world, the Christ the Redeemer Statue in Rio de Janeiro switched off, as Victor Civita Square in São Paulo held the site of the official switch off event in Brazil. More than 142 cities across the country took part in Earth Hour. The momentum stretched out to the United States of America where some of the most well loved and historic landmarks did the big switch off from Times Square, UN Headquarters and Empire States Building in New York. Even the lights of the Las Vegas Strip plunged into darkness as Earth Hour finished it’s journey in the Americas finally wrapping up in Tahiti and the Cook Islands, the last places to celebrate Earth Hour, and some of the most vunerable places in the world due to sea level rise caused by climate change. In tandem with the crowd’s enthusiasm at events across the world has been Earth Hour’s massive digital presence. The recently launched Earth Hour Blue is a key example of global digital engagement. 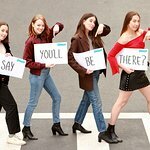 The revolutionary platform for the planet allows anyone in any country to use their voice or their dollar to take action and support projects of their choice across the globe, encouraging participants to use their favourite social platforms to engage in their favourite crowdfunding and crowdsourcing projects. As a newcomer to the crowdfunding scene, Earth Hour Blue has launched with WWF projects from Australia, Indonesia, Singapore, China, Nepal, India, Russia, Uganda, South Africa, Madagascar, Canada and Columbia which are now all live on the crowdfunding platform powered by Crowdonomic. The platform is already a success, Singapore having already raised enough money from its project to start new efforts to fight wildlife crime in Southeast Asia.